The sale wars are back! While Amazon is still to announce the exact schedule for its next Great Indian Sale, Flipkart has already revealed that the Big Billion Days sale will be held from October 10-14. 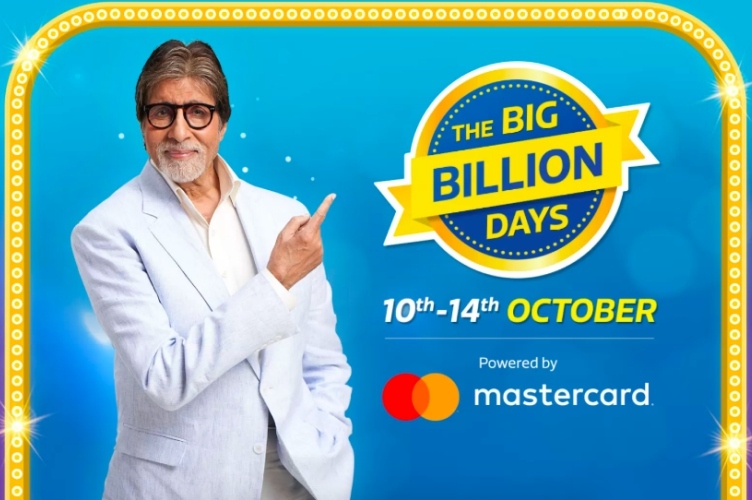 To attract even more online buyers this time around, the Indian e-commerce giant has surprisingly roped in Amitabh Bachchan to promote the fifth edition of their ‘The Big Billion Days’ sale. You can watch Bachchan spinning his own moniker into a marketing stunt, calling Flipkart’s Big Billion Sale the ‘Big B’ of all sales, a.k.a the greatest of all time (G.O.A.T). Well Amazon, you caught that, right? And it’s not just Big B, Flipkart has also partnered with celebrities like Deepika Padukone, Virat Kohli, and others to celebrate the sale offers on electronics, fashion, smart devices, accessories and personal and home care products. This time around, Flipkart has partnered with Mastercard for the sale and will be offering multiple discounts and payments options to users during the period of the event. It will be rolled out in phases, with 11th October focusing on smartphones and electronics appliances, offering up to 80 percent discount on some items during the sale. We’ll now have to wait and see what its fiercest rival Amazon brings to the table to tackle the growing presence of Flipkart (since its $16 billion acquisition by Walmart) in India’s e-commerce market. Also, stay tuned as we will bring you the best deals and offer from the sale next month.